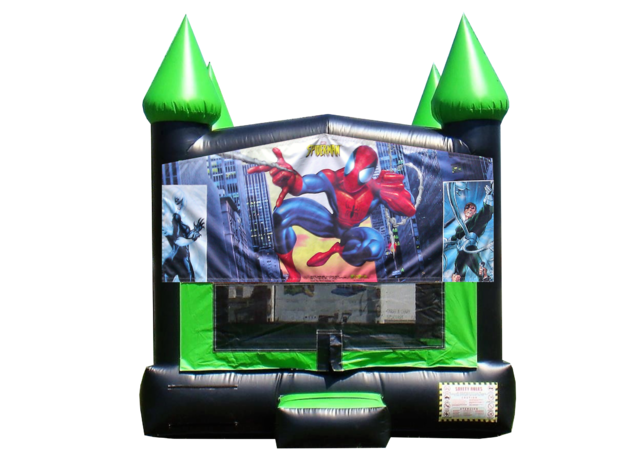 With a great color combination and a great picture of one of the most popular superheros, this Spiderman bounce house is one of a kind. If you have being looking for one of the avengers bounce house for your Spiderman fan, this is it! It will have your guest jumping for hours... but if you want to take your Spiderman party to the next level, check our obstacle course, inflatable slides and chairs and table packages... and don't forget concessions!